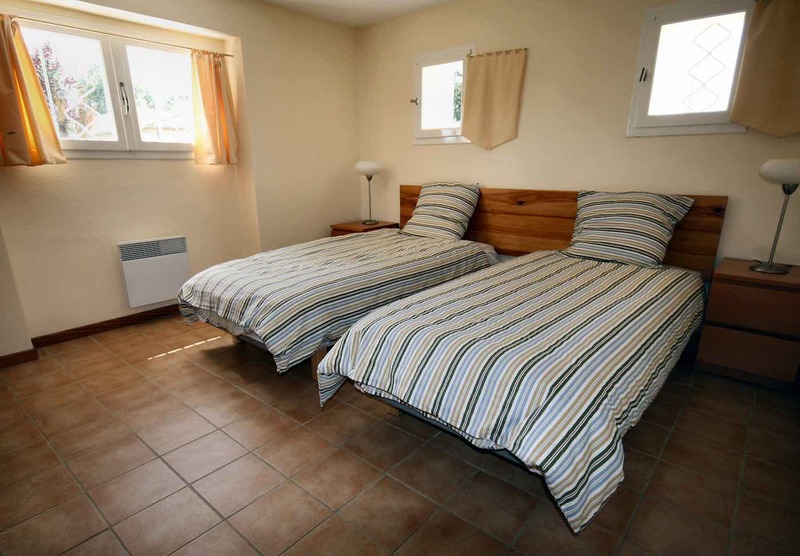 2 Bedrooms – each bedroom can be arranged as either a double or twin room with a wardrobe, bedside cabinets with lamps and a table and chair. 1 Bathroom – bath with shower and wash hand basin with shaver point. Separate toilet – toilet and wash hand basin with shaver point. 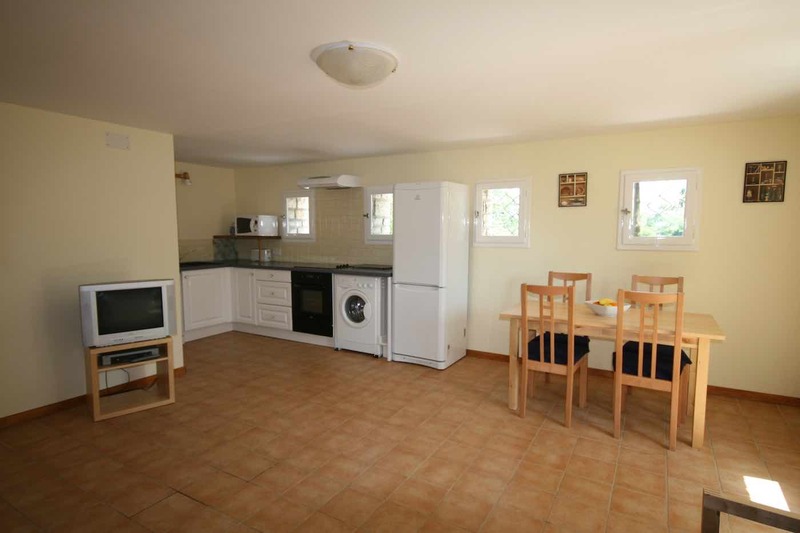 Kitchen/Lounge/Diner – contains an oven, hob, washing machine, dishwasher, tall fridge/freezer, microwave, toaster and coffee maker. Dining table with four chairs (plus 2 chairs in bedrooms). Lounge area has a three and two seat sofa with 2 coffee tables and 2 standard lamps and satellite T.V with DVD player. Heating – electric wall mounted heaters in rooms. Outside – decked area with garden table and four chairs and a Weber barbeque. 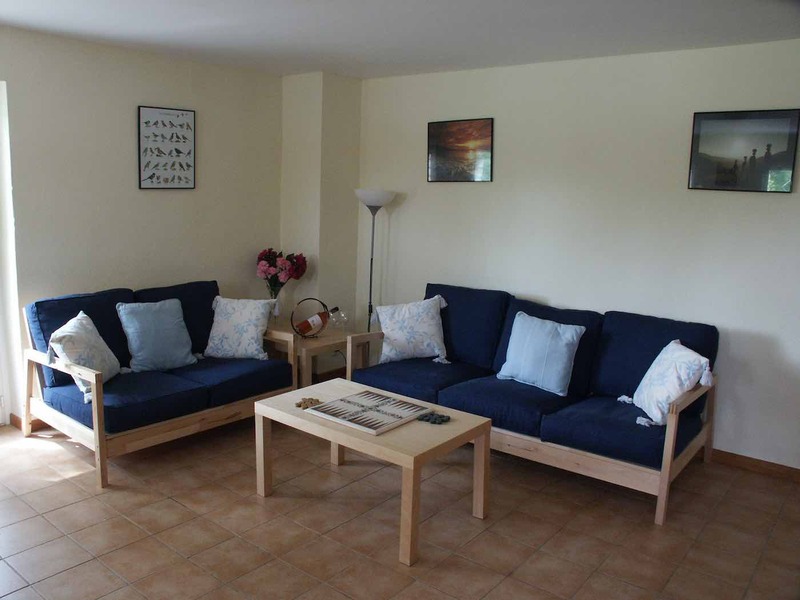 Le Lot apartment sleeps up to 5 plus one cot. Arrivals are Saturday afternoon (4 p.m. onwards) and departures are Saturday morning (before 10 a.m). Please note that in the peak summer season we give priority to two week bookings. We have flexible changeover days for all but the peak summer period when we changeover on Saturdays. We will consider Tuesday, Friday, Saturday and Sunday changeovers during the rest of the summer (May, June, most of July, September and October). Please enquire. Every attempt is made to keep the calendar up to date but please e-mail us at info@aquitainegitesinfrance.com with your required dates and we will check availability. If you would prefer to telephone us on 00 33 (0)5 53 71 84 19 we will be happy to call you back to discuss any questions you might have (English and limited French spoken).